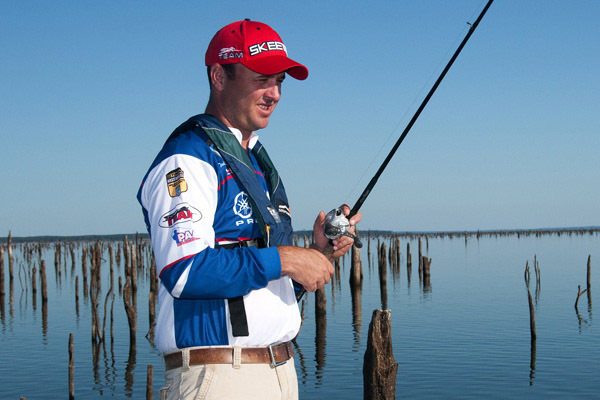 Although many bass fishermen have already put away their soft plastic lures and replaced them with crankbaits and jigs now as water temperatures get cooler, Todd Faircloth isn’t one of them. Instead, the veteran Yamaha Pro is still using soft plastic jerkbaits, creature baits, and worms because he can fish them slower but still impart a lot of action to them. 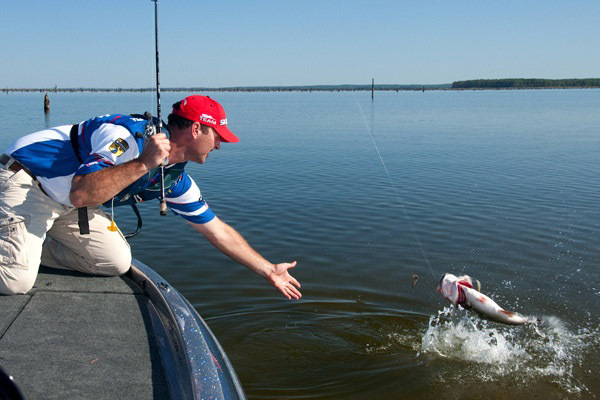 One of Faircloth’s favorite presentations for heavy cover is flipping, and for this he uses a creature bait, a lure with a fairly small profile but with multiple appendages that swim and flap as it falls. He can control the lure’s action, depending on how active the bass are. notes the Yamaha Pro. “Because it has all the legs and flat tails, a creature bait tends to glide through the water rather than falling straight to the bottom, so I hop it pretty high to take advantage of that gliding action. You can’t do this with jigs or crankbaits. In slightly more open water, particularly the backs of coves and in tributary creeks, Faircloth often changes to a fluke-style plastic lure, generally described as a soft jerkbait. This is his favorite lure when he sees shad activity, but actually seeing the shad isn’t a prerequisite. 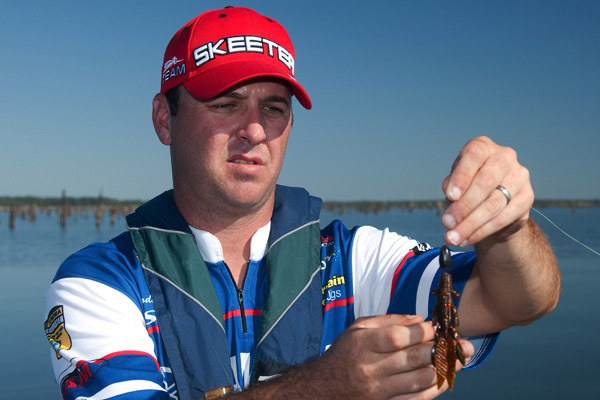 In slightly deeper water, Faircloth may use a straight plastic worm, often called a stick-worm. He rigs with a 1/8-ounce sinker most of the time, but may opt for a heavier ½-ounce weight in clear water so the worm falls faster. concludes the Yamaha Pro. “In clearer water, I don’t want the fish to get a very good look at the lure, so that’s why I use a heavier sinker.